Real estate companies seeking to drive efficiency and gain an edge over competitors are increasingly turning over their back-office operations to third-party companies that focus on promoting leading operational practices while leveraging best-of-breed technology. This practice is also known as �outsourcing." Arguably, specialized service providers can do a superior job performing lease administration, accounting, data management, energy optimization and application support at a better value. Using them also frees up internal personnel to concentrate on the company�s core business of developing, acquiring, investing in or selling real estate assets. If your organization is still handling all or even most of its non-core work in-house, it�s time to seriously consider this alternative approach. Faced with increased competition for properties and low capitalization rates, real estate firms are looking for other ways to boost net operating income. One of those strategies is outsourcing. Industry-leading firms are realizing that they�re in the business of raising money, acquiring assets, adding value, securing tenants and constructing new properties. Conversely, they are recognizing that they are not in the business of creating and managing accounting departments, IT infrastructure, and other back office support operations. They are rightfully concluding that the cost to establish, staff, and sustain these functions is significant and not a core value-driver for a real estate company. This work is mostly transactional, time-consuming, repetitive and monotonous and, therefore, hard to staff, manage and measure. It doesn�t need to be handled onsite by a corporate office or even by humans, in many cases. By automating a lot of repetitive tasks, leading industry service providers can streamline processes, reduce operational costs and allow internal personnel to focus on more strategic initiatives such as process improvement and market analysis. The logical solution is to turn over the back office, in part or in full, to a service provider whose core business is handling the challenging, non-core work on behalf of real estate-focused enterprises. Today�s top service providers: stay abreast of and drive leading practices across all functions; continuously invest in and leverage the latest, proven technology for delivering quality results; and tap a talented and scalable workforce that is well-versed in real estate processes and procedures. Service providers can manage and deliver nearly all work product through the cloud using the �Business Process as a Service� (BPaaS) model. The provider builds, maintains, updates and operates a robust, up-to-the moment, best-of-breed technology platform developed specifically for real estate back office operations. Clients don�t have to select the appropriate system, negotiate licensing fees with a host of software companies, invest in lengthy implementations, deal with subscription renewals or attend to any of the daily logistics required to keep its technology running smoothly. BPaaS is much more efficient than traditional outsourcing since both service and systems are being sourced through the service provider. Clients benefit from a subscription-based service covering back office processes and associated systems and tools, including application support for all provided technology. This model enables clients to both forecast projected costs for future growth and easily scale back office functions up or down with acquisitions and dispositions. Before making any sourcing decisions, an organization needs to have clarity about what outcomes it wants and whether it�s taking the right actions and applying the right resources � human, technological and otherwise � to efficiently achieve those outcomes. Any decisions about sourcing � whether in-house or external � prior to going through this exercise is putting the cart before the horse. Typically, companies start small when outsourcing the back office and expand over time. They often begin with lease administration or technology services and then progress to more knowledge-based functions such as property, portfolio and fund accounting. Over time, companies will continue to move processes to the service provider until their entire back office has been transitioned to a third-party sourcing model. 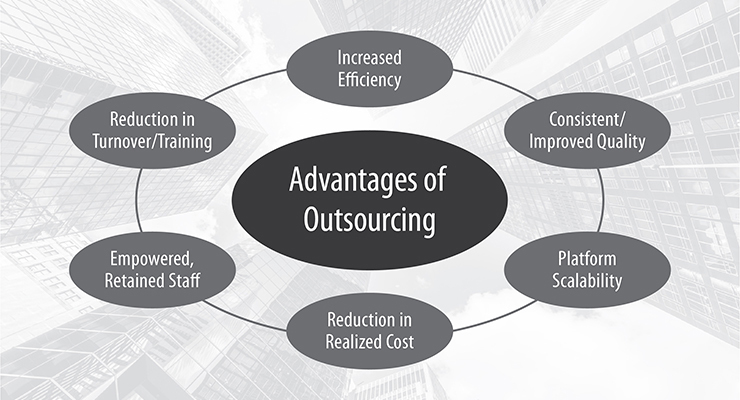 When measured correctly, the advantages of outsourcing are compelling. Positive financial impact areas are generally reduction in realized cost (salary, benefits, taxes, real estate, management, supplies, licenses, etc. ), decrease in turnover management, increased efficiency, consistent/improved quality, platform scalability and a more empowered, retained staff. Once a decision has been made to outsource, the next step is to identify the best service provider for your organization. Of course, any provider under consideration must have a strong record of performance and referenceable clients. These three criteria are equally important. (1) How will the work get done and be delivered? Many providers use a hybrid onshore/offshore team with some professionals based in the United States and others located abroad, e.g., India, the Philippines and Poland. However, it�s critical to have a domestically-based account manager who is a real estate industry expert with years of experience. S/he can both advise the client at a strategic level and manage the entire work flow, so the client doesn�t have to deal with anything day-to-day, including but not limited to language and time zone differences. (2) How broad/inclusive is the provider�s service offering? Because many organizations initially source a limited scope of work and expand over time, it�s best to select a provider with a broad offering. A client can stay with this provider and avoid having to eventually switch to a more full-service firm or worse, use and juggle relationships with multiple providers. (3) What tools does the service provider use? Select a firm that utilizes and is committed to ongoing investment in best-in-class technology. The technology should include systems and applications that enable transparency and allow the client and provider to collaborate easily. A good example is the Microsoft Office 365 ecosystem combined with a client portal. This setup affords a �window� into every piece of work that the provider is handling so a client can see, in real time, the status of each task being performed on its behalf. So, what are you waiting for? Senior executives at real estate companies that are not currently outsourcing or evaluating their sourcing model should at least meet with service providers to learn about the benefits. It�s an opportunity to get an overview of the industry, acquire insight into trends and find out how to leverage outsourcing to achieve better outcomes and remain competitive in the market. 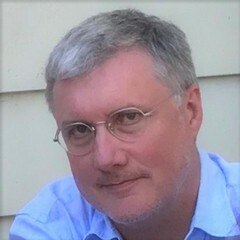 Ron Christy is a director with RealFoundations' Managed Services practice and is responsible for leading the development and implementation of its clients' key strategic projects and long-term solutions to increase efficiencies, streamline operations, reduce realized costs and drive NOI. Ron has over two decades of real estate experience with a core focus on Business Process Outsourcing and Enterprise Technology Solutions for REITs, investors, managers and financial institutions. He has developed sourcing solutions for more than 100 real estate companies. RealFoundations is a global professional services firm focused on helping companies that develop, build, own, operate, service, occupy or invest in real estate make smarter, more profitable decisions. From the building itself to the way it�s developed, operated and capitalized, no firm understands the inner workings of the entire real estate ecosystem as well as RealFoundations. We Make Real Estate Run Better. In an ever-increasing wireless world, building owners and operators can no longer ignore the needs of a mobile society. Every day, more applications are added to our phones which include video, immersive media, wayfinding, hailing a ride, ordering food, accessing a building and more. So much of what we do relies on good wireless connectivity, and buildings must deliver the same service as the outdoor world. Over the next few years, 5G and other technologies are going to radically improve wireless connectivity and ultimately impact the communications strategy for buildings. In order to provide tenants with a 21st century experience, buildings must keep pace with this trend. This webinar will cover a wireless strategy that includes both experiential and operational issues. As part of the IBN Technologies team, Mr. King leads the development of enterprise services definitions and business case propositions for customers and partners. Mr. King is Vice Chair of the Services Working Group in the Small Cell Forum. 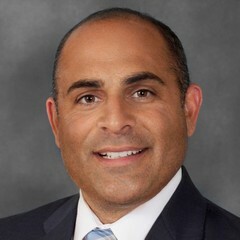 He came to Corning via the SpiderCloud Wireless acquisition and was formerly a lead in IT architecture and operations for Nike Inc. where he held various global roles over 10 years. 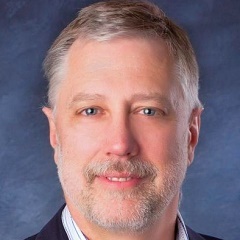 Stuart Walker Strickland is a Distinguished Technologist in the Office of the CTO at Aruba Networks with a focus on strategic planning for Wi-Fi in the context of 5th Generation cellular networks. He has been with Aruba for three years and represents its interests in 3GPP, WFA, IEEE, and WBA on issues relating to spectrum allocation, Wi-Fi/cellular coexistence and integrated network architectures.